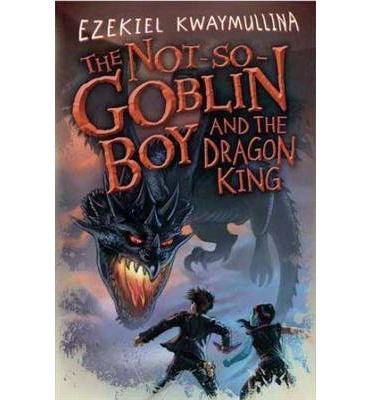 Samuel is a 12 year old engineering genius who travels the skies with outlaw Goblin pirates. It is an awesome place to be, plenty of adventures to be had. It’s not so simple though, and it is all made more complicated when his friend and fellow crew member Jet, who happens to be half=dragon, is kidnapped by other dragons. There is never any question of following the dragons to rescue their friend, its the how that is in question, where the Dragons live is very well defended and only ships with certain features will be able to penetrate those defences. Once they crash land at their destination the goblin crew discover that things are not what they seem. Dragons are suffering terribly and Jet may be their only hope, until they discover just what Samuel is able to do. What an incredibly fun read. Goblin’s whose big weapon is their fart attack being just one part of that. Samuel is a great character, he has incredible abilities but they are tempered by his own self-doubts. There is plenty of action and the plot has a few more twists than you may expect, there is also plenty of humour. The characters are supportive and yet combative, each have strengths that complement others in the team. At the core though they see themselves as a team and that is what makes this story so successful, for as much as Samuel and Jet are the keys to success, they in no way could actually get there if they didn’t have the support of the others to push them through. It is a nice blending of fantasy and science fiction (space ship going, pirate goblins anyone) along with a wonderful, silly kind of humour.